Night. A clear sky at new moon. 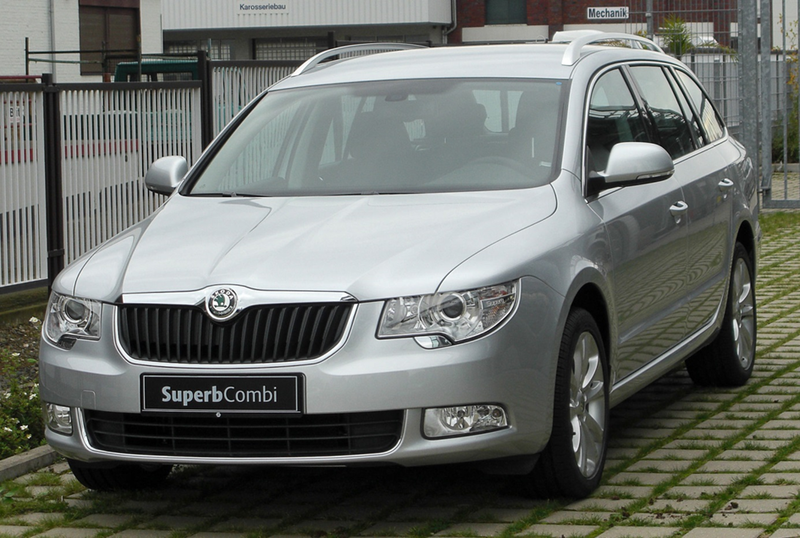 Narrator drives the borrowed Skoda Superb  Combi from Amsterdam via the Noordoostpolder  to the marina at Lauwersoog near the departure of the ferry to Schiermonnikoog. Both headlights shine on the empty highway through the dark void land that over 50 years ago still was bottom of the Zuiderzee (Southernsea). Carla dozes in the back seat. Man sits as a passenger next Narrator; in the dim light of the dashboard they look to the exit at Emmeloord that in the far distance is lit by lantern light. “Within the emptiness the headlights – with the lantern light in the distance – conjure a dark magic landscape wherein everything we now see emerges and immediately disappears like phantoms who are called to live in a flare in order to slip at once into the dark emptiness again. As boy in South Limburg I have loved the dark nights with the infinite universe wherein I – included – was one with all the stars and galaxies in the firmament. Now I feel myself floating within a faint white glow on an infinite journey through the universe and thereby perfectly at home in this vessel. Tonight – before we were getting ready to depart – I have looked up a definition of Buddhist enlightenment  in a book: “Enlightenment is realising the oneness of life”. I looked for this definition yesterday afternoon we have ended our survey of intensities and associations with the question: “One – what is that?”, that had been asked by a Buddhist sage to a wise woman. She was unable to answer this question. I wonder whether the inability – or the emptiness – of the wise woman to answer fits better with the question: “One – what is that?” than this definition of Buddhist enlightenment. We now begin the survey of emptiness during our quest to “Who are you”. In Sanskrit the word for emptiness in the Heart Sutra is ” śūnyatā”. Do you know the meaning of this word in Sanskrit?”, asks Man. The car is nearing the exit at Emmeloord. Narrator slows down and takes the exit to Lemmer; hereby Carla has awakened and she asks: “Where are we?”. “Near Emmeloord in the Noordoostpolder, now we are heading to Friesland. I have asked Narrator for the meaning of the word “śūnyatā””, says Man. 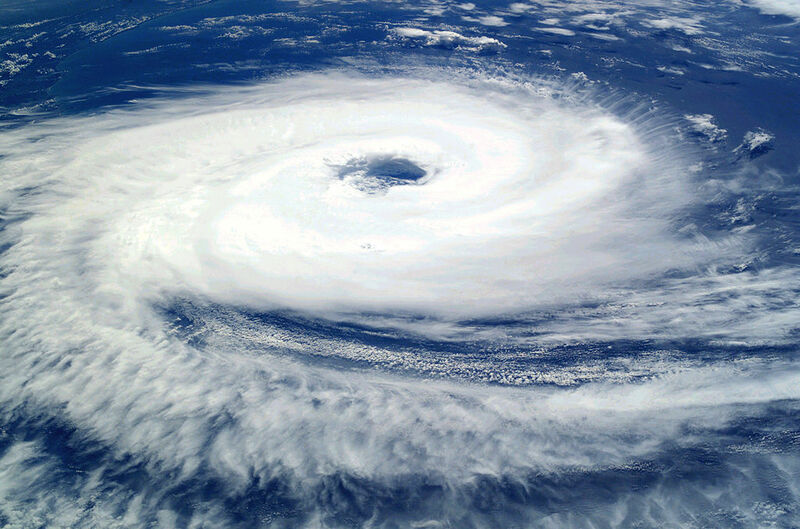 “The word ” śūnyatā” is usually translated with “emptiness” or “empty of self” , but this translation only reflects the core of the word just like within the core of the tropical cyclone there is usually a clear sky and no wind; the centre of the cyclone is sunny and “free” of wind. • “tā” meaning “impassableness”, “inaccessibleness”, and also “unviolability” and “sacred” . A contemporary Japanese Zen master in America had written in his explanation of “śūnyatā” that this word is not a negation of the concept of existence, but the word indicates that our entire existence in all its forms is completely dependent on the principle of cause and effect; we have read earlier that even the Gods are bound by the principle of cause and effect . As the factors of cause and effect are changing constantly, there is no static – fixed – existence possible. The word “śūnyatā” categorically denies the possibility of the existence of static – fixed – manifestations. All appearances are relative and interdependent according to this contemporary Japanese Zen master. In addition, he writes that “śūnyatā” also means “zero”, a concept that became known rather late in Europe, but has been in use for much longer in India. Zero has no numerical value in itself, but it represents the absence of numerical values and thus symbolises at the same time the possibility of all numerical values. Similarly “śūnyatā” – through the concept of “zero” or “no” – represents the possibility of the existence of all manifestations and it is also included in all forms, that themselves only exist in relation to their non-existence and by their interconnectedness ”, says Narrator. “The definition of zero is too limited: but I will not go into it now. If I understand it correctly, “śūnyatā” refers to “emptiness from” and “emptiness to” just as – in my opinion – Erich Fromm is referring to “freedom from” and “freedom to” in mutual dependency with the concept of “freedom” [12 ]. Here I am reminded of the French phenomenologist Maurice Merleau-Ponty who has argued that manifestations are caused by a creative process of giving meaning and taking meaning at once. The Zen master adds to this argument the void – or space – for allowing the creation of manifestations”, says Carla. I have this explanation of “śūnyatā” from the introduction by this Zen master in his book on the Buddhistische Heart Sūtra. This description of the Zen master has stayed with me because it fits so well my perception of the ghosts in the night. As a child soldier in Africa with our militia we had put the forest around a village on fire at the end of the night. We had shot everything and everyone that had come out of the forest and we had been happy . I still carry the ghosts of these villagers with me; their breath – in emptiness and vanity – has become my breath. At night they are as real to me as people I meet during the day; these spirits are connected with me in interdependence within the law of impermanence: during daytime they have disappeared”, says Narrator. “Are these spirits really present for you here and now in this car?”, asks Man. “No, driving the car I have my attention on the road, but if I do not focus my attention any longer, the ghost come to life from the emptiness of darkness just as real as a dream during sleep. Or to cite a quote often incorrectly attributed to Mark Twain: “I am an old man and have suffered a great many misfortunes, most of which never happened” ”, says Narrator. “Fortunately, because otherwise I should have asked you to look for a parking place and we might continue our journey tomorrow during daylight. I have several versions of the Heart Sutra to study in my luggage. Would you like to help me with the interpretation of Sanskrit?”, asks Man. “That is fine. I have a copy with the explanation by the Japanese Zen master with me. Do you have a waterproof compartment for books on your boat?”, asks Narrator. “Your book easily fits within the waterproof ton. When we will lay dry at low tide, we will have time to read”, says Man. “The definition of enlightenment that you have just mentioned, gives one aspect of enlightenment – in line with the interconnectedness within the metaphor of Indra’s Net – quite clearly. It is only one side of the coin, the other side is “śūnyatā”. In Buddhism, the term “nirvana” – literally absence of forest (or barriers) or the open plain  – is often used for enlightenment. In Hinduism one often addresses enlightenment with “moksha”  that comes from the verb core “muc” meaning amongst others “to loosen, or to liberate”. With both interpretations, I am not happy because in my opinion “śūnyatā” together with the metaphor of Indra’s Net gives a better interpretation of the term enlightenment. I think it is a good idea that we do not only survey emptiness in the sense of “empty from” at this part of our quest, but also in relation to the four great truths of Buddhism and in relation to Indra’s Net”, says Narrator. “Good idea. When I had lain awake during my travels under the dark starry sky, I had felt myself fully included in space or in the infinite void. The boundaries between the space and myself had dissolved and I had become one with everything around me. In a book on Zen Buddhism I had read two poems mentioning an empty mirror as metaphor for life; in the second poem also the illusion of the empty mirror was removed just like during this journey by car through the dark polder the sight on the landscape is non-existing. Do you know the text of these poems?”, asks Carla. The mind like an empty mirror stand. Bodhi – with a sound (and a meaning via “et incarnatus est” ) akin to the English word body – meaning in Sanskrit “a tree of wisdom, or a tree where under a human becomes a Buddha” . The empty mirror has no stand. Originally there is not a thing. In Sanskrit Bodhi has a second meaning: “perfect enlightenment” . The Fifth Patriarch knew a humble firewood-gatherer – without any formal training as a monk – had written this second poem and he foresaw an uprising of the monastery to the appointment of this uneducated layman as Dharma heir. The following night, the Dharma transmission took place and at dawn the sixth Zen patriarch had to flee from the monastery. The monks have haunted him for a long time. Eventually after a long flight he had been fully accepted is as Dharma heir; every Zen master is in direct line associated with this sixth patriarch. And reciting the poem I also reflect him in the emptiness of this night”, says Man. “Splendid explanation. Shall we continue tomorrow? I would like to continue dozing”, says Carla. “Then I will also take a nap. Tomorrow we have to get up early”, says Man. Narrator drives the car with Carla and Man sleeping via Friesland and Groningen to the parking place at Lauwersoog near the ferry departure to Schiermonnikoog. He parks the car facing east to see the dawn over a few hours. Upon seeing the first twilight he awakes Carla and Man. “On this bright morning we have to see the sunrise before so we will start rigging the sailboat at the marina”, says Narrator. and all, even white now, shines and lightens even clean. 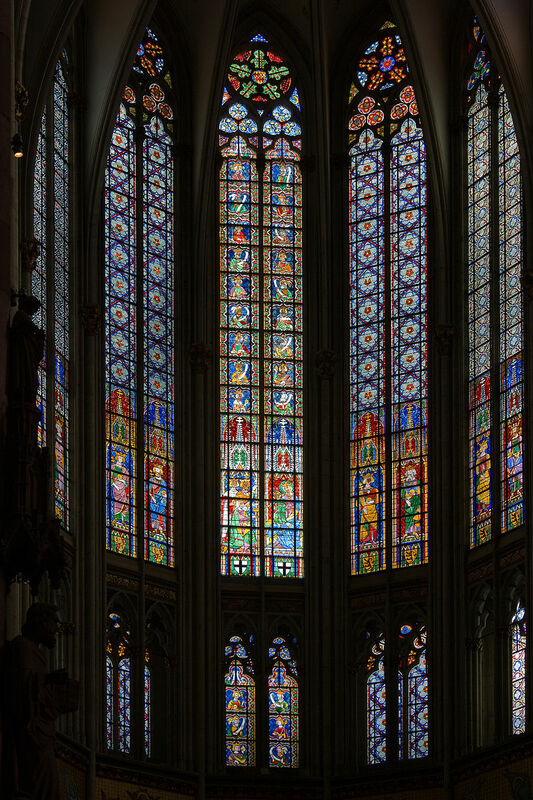 In my opinion Guido Gezelle advocates with this poem – despite the beauty of church windows as windows on the world – an empty mirror without stand in God’s face”, says Man. Source: electronic version of the dictionary Monier-Williams – MWDDS V1.5 Beta. Dharma means literally “placing of the self/Self continuously”. Source: Badrinath, Chaturvedi, The Mahābhārata – An Inquiry in the human Condition. New Delhi: Orient Longman Private Limited, 2006, p. 68. See also chapter 4 for an introduction on Dharma. “mitred and staved”: with signals of authority; “all the tongues from the heaven bows paints”: showing all the paintings on the ceilings of the churches. Free translation of this poem. Original: http://cf.hum.uva.nl/dsp/ljc/gezelle/rijmsnoer/ramen.htm This poem is date by Guido Gezelle on 14th of April 1895. This entry was posted in Five, Five - Emptiness and tagged Bernie Glassman, Bodhi, buddhism, Chaturvedi Badrinath, child soldier, core, cyclone, Dharma, ego, emptiness, enlightenment, Erich Fromm, giving meaning, Guido Gezelle, Heart Sutra, Huineng, Jeff Bridges, law of cause and effect, Mahābhārata, manifestations, Mark Twain, Maurice Merleau-Ponty, moksha, night, Nirvana, Ruth Cecily Katz, Sanskrit, sixth patriarch, Taisen Deshimaru, taking meaning, vanity, zen master, zero, śūnyata on 30 November 2014 by Jan van Origo. Around Easter the winter of that year was gone. The sun emerged and nature flourished again. Next to my city bike I had bought a touring bike by which I made several bike tours on the islands Amager and Sjælland whereupon the city of Copenhagen is located. In a few months I learned not only to cycle well, but I started to love this form of gliding over the roads in weather and wind. Near the end of spring I received again disturbing letters from former lovers in Amsterdam; they were also seriously ill with AIDS. I decided to travel to Amsterdam with my touring within a week. 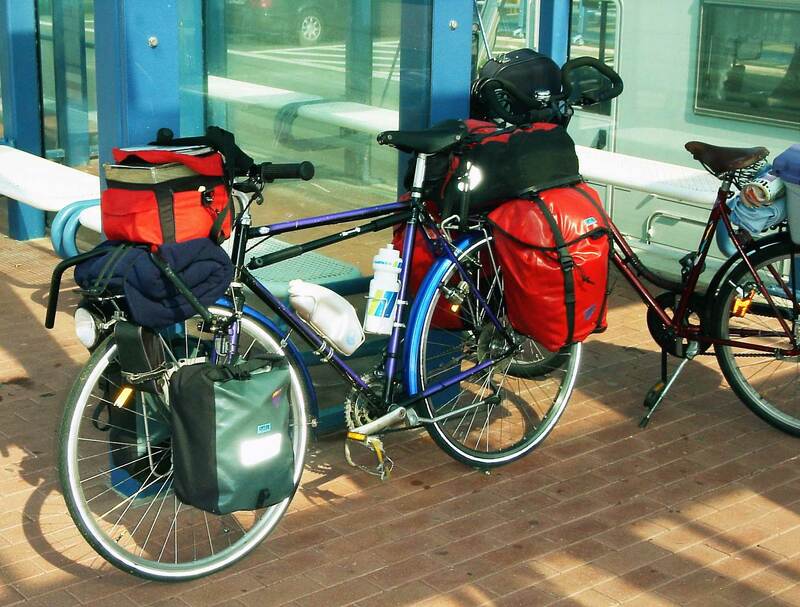 After a preparation of a small week, I departed to Amsterdam for a few months with a packed bike. My attic room I had temporary sublet to a friend. Eventually I did two weeks about the trip, because I had almost always headwind. 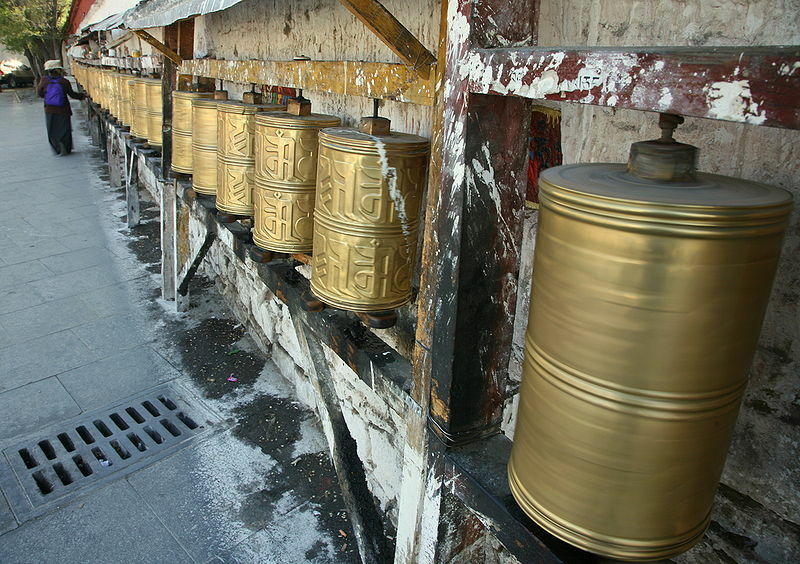 On the long straights, the turning of the pedals changed in turning of the prayer wheels in my experience, sometimes difficult, sometimes without effort. On my way to Amsterdam I had the Buddhist question of the “iron ox”  in my mind. Some of my ancestors travelled on horseback. 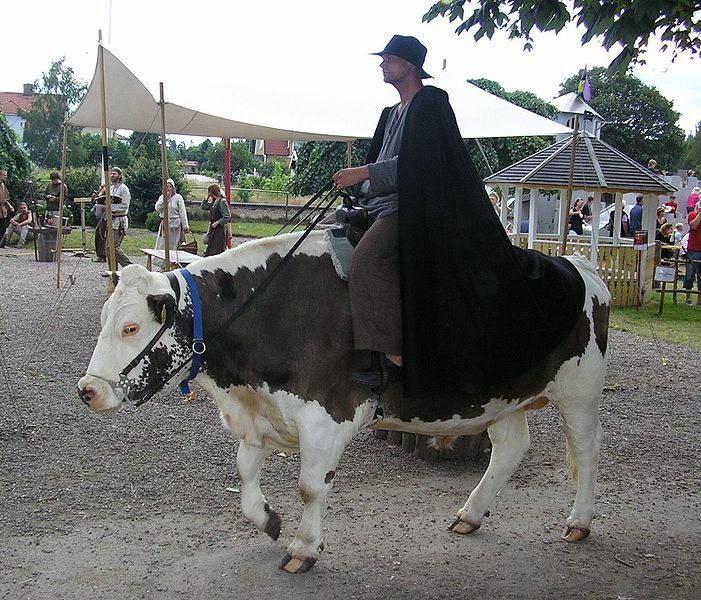 In Africa I had noticed people travelling on an ox. Now I was a rider on an iron steed instead of on horseback. Cycling through northern Germany and the Netherlands my bike slowly took the shape of the “iron ox” in the Buddhist question. Sometimes nicely gliding, sometimes toiling during headwind, my iron ox did its work; we glided steadily with the road and the environment through the universe. When I performed both performances every day at five resting places, I earned enough money for daily meals for myself and another traveller with whom I shared the meal. That summer and autumn in Amsterdam, I lived with and cared for old friends and former lovers with AIDS. In addition, I enjoyed the Dutch beaches and the beautiful clouds in Netherlands. At the end of the autumn I cycled to Copenhagen with the wind in my back. The winter I spent in my attic room with the long nights in which the moon, the stars and the ghosts kept me company. I stuck to this rhythm of “heading to the south during summers” and “winters staying in Copenhagen” for several years; in later life I spent the winter in the south and passed the summer in the north. Was this wintering on my attic room a penance for crimes committed as child soldier in a militia? Maybe, a year later I met a man who did penance for his deeds constantly. Source image: http://da.wikipedia.org/wiki/Cykeltyper . This photo is made in 2005 showing a cycle of a later date. See: Cleary, Thomas, Book of Serenity – One Hundred Zen Dialogues. Bosten: Shambhala, 1998 p. 125 – 130. Source image: http://nl.wikipedia.org/wiki/Os_(rund). The oxen in Africa were not so well fed. According to Mahāyāna Buddhism, human enlightenment spreads a smell of vanity. Enlightenment only exists when all en everyone is enlightened. The first two lines of vers in the koan Fengxue’s “Iron Ox”. See: Cleary, Thomas, Book of Serenity – One Hundred Zen Dialogues. 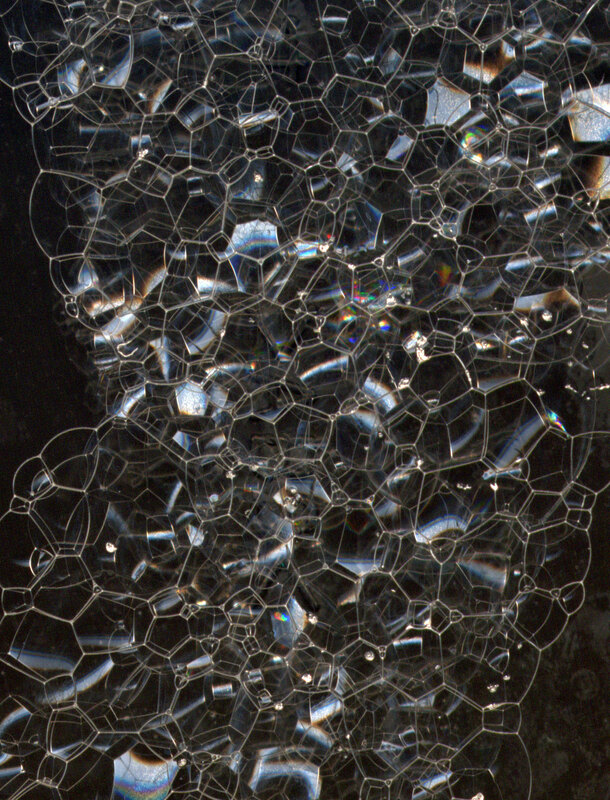 Bosten: Shambhala, 1998 p. 125 – 130. This entry was posted in About, General, Introduction and tagged AIDS, Amsterdam, bike, buddhism, child soldier, Copenhagen, crime, enlightenment, idol, Iron ox, koan, magic, magic rope show, Mahâyâna Buddhism, militia, ox, penance, Thomas Cleary, touring bike on 20 January 2013 by Jan van Origo. The first snow fell early in autumn; the days were still not very short. In that dark morning the crackling of snow under my shoes sounded muted in the Prästgatan wherein the Golden House of hopes and dreams was situated on the island Gamla Stan in Stockholm. The white snow and cold absorbed all colours; the Moon and the starry sky merged with the snow and the full colours of last summer were gone. In the course of the morning the snow was smeared by everyday life. That evening a vague glow appeared in the light of lanterns. My beloved came home that night from a visit to his sick mother in America. His return was the beginning of a big change in our lives. He wanted to live closer to his mother, because due to her illness she only had less than a years to live. During his stay in America my beloved visited various Buddhist communities; he had decided to enter a convent near the house of his parents. The contact with his father was still stiff by their mutual incomprehension about his evasion of military service during the Viet Nam war. Unbeknownst to my beloved, I wrote a letter to his father in which I made a comparison between the general pardon of president Carter in 1977 for evasion of military service during the Viet Nam war and the parable of the lost son  in the New Testament: Your son was lost and he is found  by the general pardon. After the next visit to his parents my beloved returned joyfully; his father had welcomed him with open arms. This question is about passing the Empty Gate and the state of enlightenment. Snow, cold and white in which the Moon merges are metaphors for enlightenment. The first teacher asked for any beyond this colour where this colour stands for the road after passing the Empty Gate or after enlightenment. The other teacher immediately removes the illusion of enlightenment and a road after passing the Empty Gate by amongst others to refer to the colourless colour and to the Bodhisattva ideal from Mahâyâna Buddhism in which a human who is on the verge of enlightenment – or even a living Buddha –forgoes out of compassion until everything and everyone is able to enter enlightenment or the state of a Buddha. My beloved could comprehend the statements of the first two teachers, but that winter he toiled on the third statement. Just as many people I struggled with the short days in northern countries. Our last common Christmas and New Year’s evening we celebrated exuberantly with many friends and acquaintances. Fortunately, in January and February the days got longer. That winter my beloved sold the country house in the Stockholm archipelago and the Golden House in the old town of Stockholm. For a short time we moved to a rented wooden house on the island of Södermalm where we had a beautiful view on the inner city of Stockholm. Here we lived our last two months together. My beloved studied and I played percussion in several jazz ensembles. At the beginning of the spring my beloved asked me what the meaning of “māyā” is in Sanskrit. I told him that in the distant antiquity “māyā” had the meaning of “art and wisdom” and later the meaning of “illusion”, “compassion, sympathy” and “one of the 24 small Buddhist sins”  were added. The name of the mother of Siddhartha Gautama was Māyādevī wherein “devī ” as feminine form of “deva”  means among others “feminine goddess”. I also said that my father has taught me that “māyā” takes shape in the form of the general or cosmic consciousness and thus is directly connected with the all-encompassing Īśa, and in addition in the form of the individual or human consciousness and thus often has the meaning of illusion . Both forms stem from and are included in the one reality. After this explanation my beloved beamed. By the warmth of the sun glow the blossom buttons opened again. With the blossoms of spring my beloved moved to America permanently. In the society where I from, community means everything – you are who you know . In Stockholm I was the friend of my beloved at best. Now I no longer really knew anybody, I was a nobody in Stockholm. At the end of the spring I terminated the rent of our beautiful wooden house and I moved to Copenhagen. The word Deva whereof Deus in Latin, Zeus in Greec and Dieu in French arose, is Sanskrit connected with the verb root “Div” meaning amongst others “to shinestralen, to play, to increase”. This entry was posted in About, General, Introduction and tagged blossom, buddha, buddhism, David van Reybrouck, Deva, devī, Empty Gate, enlightenment, Gamla Stan, Gospel of Luke, Mahâyâna Buddhism, māyā, Māyādevī, New Testament, Prästgatan, Sanskrit, Södermalm, Siddhartha Gautama, snow, Stockholm, sun, Swamin Nikhilananda, the lost son, Upanishads on 15 December 2012 by Jan van Origo. In Rome I had recovered the heaven on earth from my childhood. That autumn and winter I was totally absorbed in this city. However, the following spring I left this heaven on earth. Looking back on my life, it would have been better if I had stayed in Rome. Much later in books I read an explanation for my departure: “When the light doesn’t penetrate completely, there are two kinds of sickness. One sickness is when not everything is clear and there is still something in front of you to achieve. The second sickness is when you live in heaven and your clinging to heaven is not forgotten. Even completely in heaven, the question remains: “What breath is there?” – this too is sickness ”. Although I was perfectly happy in Rome, I still suffered on both forms of sickness. I imagined myself in heaven, but my existence was still not clear. Also the command of my mother to start a new life in the city of Amsterdam was looming in my heart. And my craving for happiness subsisted in Rome. The healing of the sickness caused by the question “What breath is there?” began during our Odyssey “Who are you”. In early spring, I gave substance to the command of my mother to start a new life in the city of Amsterdam where men may love men. I left my heaven on earth. I started my foot trip from Rome to Amsterdam with a small backpack and some money for food. In Italy, I visited the cities of Siena  and Florence  where I enjoyed the museums and the beautiful buildings. In both cities, I stayed a short time with lovers; my exotic appearance wafted through these cities. After more than two months walking, I reached Northern Italy. Here I left behind the golden glow of my half year in Italy. At my arrival in Aosta, the weather was inclement and the mountains were threatening in the distance. I could find no place to sleep. I watched the whole night under a cloudy sky with lots of rain. The next day the weather brightened and I dried myself in the sun. I walked through the Aosta Valley via Courmayeur  to the entrance of the Mont Blanc tunnel. For the first time I saw a white snowy mountain range. I had never seen such a wonderful bright world. This enchanting world was the antitype of my origin and my existence until now. By truck I was smuggled via the Mont Blanc tunnel to France; this caused no problems. I dared not to cross the border with my travel documents, because my visa was only valid for the Netherlands. In Chamonix just over the French border, the tops of the mountains looked like the teeth of a monster. This was not my world. With the train I left the Valley of Chamonix. In France I followed the GR 5 hiking trail to the North. This entry was posted in General, Introduction and tagged Amsterdam, Aosta, breath, Chamonix, city, earth, enlightenment, Florence, Hakuyu Taizan Maezumi, heaven, heaven on earth, koan, Mont Blanc, Moon, mother, Odyssey, Rome, sickness, Siena, Thomas Cleary, Who are you, Yunmen, Yunmen’s two sicknesses on 28 September 2012 by Jan van Origo. The previous interview was about love in your life. In this post I continue with some questions about the last surprise in your life. “In the last part of your life you are involved in Oriental wisdom. In the description of your life you refer indirectly to a form of enlightenment. Aren’t you enlightened? “, I ask. “Everything is enlightened. Nothing, not even the tiniest particle is excluded. Everything in all its natural forms is perfectly enlightened”, you say. “Also all greed, all crimes, all murders, all illusions, all nonsense and vanity?”, I ask. “Enlightenment is as natural as inhaling and exhaling whereby inhaling and exhaling are manifestations of enlightenment. We have experienced a glimpse of the complete enlightenment on our Odyssey when we have arrived on the peninsula at the end of the afternoon at the stage “Two – night at the beginning of the spring”  after a long day walking. The following morning at six o’clock we have seen the sunrise in the East at the beginning of spring. That afternoon we have washed ourselves in the water at the peninsula, we dried ourselves and put on clean clothes and then we have gathered wood for a small fire in an old tin. This is free rendering of the summary of the Diamond Sutra that directly reflects enlightenment . The real summary is “evam”  – the first word of this sutra in Sanskrit – or in English “thus”. Every action, every word and every breath is completely enlightenment. The photo of the sunflowers in the header of this weblog “Who are you” is quite appropriate. Every sunflower seed on this picture includes the entire universe perfectly and completely”, you say. “Where do arise all crimes, all murders, all delusions, all greed, all nonsense and vanity?”, I ask. “In stage One in the post on pantheism, we have encountered “Indra’s net”  as metaphor for the entire universe. Indra’s net  is in the Huayan school of Buddhism  a metaphor for everything, for enlightenment and also for illusions and delusions. If a glass pearl in the net represents an illusion or a delusion, this illusion or delusion is reflected by all other glass pearls in the net. If a glass pearl is enlightened, the enlightenment is reflected in all other pearls. Or if we translate this metaphor to our daily lives, if greed and crime are in our lives, then this affects everything and everyone; and if a person or thing is enlightened, then this enlightenment reflects on everything and everyone in the universe. Or practical, if we stick to possession, or sin against the ten commandments, then these actions affect the entire universe; and if we carefully share possession and perform appropriate action and non-action, then this is reflected in everything and everyone. Hence the Buddhist encouragement – work hard and show compassion with everything and everyone; exclude nothing and nobody”, you say. “I can follow the reasoning. I will reconsider this metaphor. On our Odyssey we will encounter sufficient challenges. Many books on Buddhism describe the experience of enlightenment. Have you personally experienced enlightenment?”, I ask. “You mean the experience to be included in everything and everyone in all its manifestations. I don’t know how, but if I look back then this has always been my basic attitude, also if I was blinded by love, anger or sadness. I can describe it clearer since I have read in a book that for an enlightened mind there is no difference between the finger pointing at the Moon and the Moon. In the same way there is no difference between the waves and the ocean . Before, I have often mentioned as example in meditation meetings that the finger pointing to the moon may not be confused with the moon. After I have read this passage, it is suddenly clear that the manifestations “the finger”, “the Moon” and “the thoughts about these” are mutual perfectly connected. Everything and everyone are natural manifestations of this”, you say. “For me, your description of “the fate of humans determines that we may sit between changing fires and ashes” and “the blossom growing from dust to dust” is pretty distressing and painful. Maybe the description of my life will clarify this beauty and distress. Do you try to live as a Buddha or as a Bodhisattva as described in the Avatamsaka sutra “, I ask. “I am not a Saint. I look forward to the description of your life and of Narrator and then the continuation of our Odyssey”, you say. “May I bundle the posts about your life together with an introduction and a conclusion in a biography?”, I ask. “If it will be published after my death”, you say. See: Red Pine (Bill Porter), The Diamond Sutra. New York: Counterpoint, 2001 p. 39. See: Holstein, Alexander- Pointing at the Moon. 1993 p 49; in the enlightened mind of a Zen master, probably, there is no distinction what the ordinary mind calls “to point at” and “the moon”. To the enlightened mind, the relation between the two is similar to the relation of an ocean to its waves. This entry was posted in Five, General and tagged Alexander Holstein, Avatamsaka sutra, bodhisattva, buddha, buddhism, delusion, Diamond Sutra, dust to dust, enlightenment, evam, Huayan school of Buddhism, illusion, Indra's net, manifestations, metaphor, Moon, Odyssey, Oriental wisdom, pantheism, philosophy, Religion, Sanskrit on 5 December 2011 by Jan van Origo. In the previous post, we have entered two meditation rooms. The first room is the Mark Rothko Chapel in Houston. The other meditation room is everywhere and always present. Now you and I consider the sacrifice as “object in the middle”. For this we look at the last part of the movie “Offret” or “The Sacrifice” by Andrei Tarkovsky in 1986. Before we start watching this part of the movie, we read first several introductions and reflections on this film. We start with “The sealed time” : reflections on the cinema by Andrei Tarkovsky. “The sealed time” is also a good name for the interior of the Mark Rothko Chapel”, you say. “Do you recognize yourself in this description?” I ask. “With shame. I often follow my own way and I have neglected other people unnecessarily”, you say. “Who does not?” I say. “We both aren’t,” I say. “This requires a major balancing act between self-interest – in which the world is reflected – and sacrifices for others – whereby each sacrifice for another is a sacrifice to yourself”, you say. “Somewhere I read that a beggar and a benefactor show compassion for each other by an offering. The beggar gives the benefactor the opportunity to demonstrate compassion and the benefactor shows compassion with another expression of his own life”, I say. “To give offerings in an unconditional manner, we still have a long way to go. Andrei Tarkovsky describes a first step towards a Buddhist bodhisattva . The ideal of salvation and the unconditional offerings to others is present. Only the efforts and the ways to achieve one’s own perfection before the bodhisattva encourages others to prepare for enlightenment, lacks”, you say. “Within mahâyâna  Buddhism enlightenment is only possible for everyone at the same time. The metaphor of Indra’s Net shows this. First one’s own glass bead has to be prepares for enlightenment. Thereafter, all other glass beads have to be able to enter enlightenment. If one glass bead is illuminated, all other pearls are also lit: no jewel within Indra’s Net is left behind, because otherwise the dust on one non-enlightened jewel reflects on all”, I say. “Absolutely. Because the protagonist is not clear in his mind, he cannot save the world. If he does so, he remains behind with his faults and is at least one small part of the world that is not saved. Hereby the protagonist is not a bodhisattva, but a tragic hero”, you say. “He cannot be a classic tragic hero, because he believes in a God who may grant him salvation,” I say. “Later on our Odyssey, we will encounter enlightenment again. You and I share the same shortcomings as the protagonist in the film. I hope we are able to see a glimpse of the enlightenment. Odysseus has been tied to the mast of his ship in the vicinity of the Sirens. The ears of his crew were filled with wax to prevent noticing the seductive sounds. This reasoning is not sound, anyway”, you say. “Let us watch the movie”, I say. “My mother once put a dead stick on the ground outside to the wall. After several months, the stick has rooted”, you say. The next morning, the threat is disappeared. Alexander sticks to his word and lures all the residents to the seaside before putting the house on fire. All his possessions are on fire. He sacrifices his soul for his neighbours and the world. He is retrieved by an ambulance for admission to a mental institution. “This sacrifice is not only a sacrifice of the protagonist. It is also a sacrifice made by his family and friends. Without any direct say, they lose Alexander, their house and possessions. Can a sacrifice be a real sacrifice when innocent people involved “, you ask. While the ambulance passes, the son is ready to water the dead tree with full buckets of water. The Aria “Erbarme dich“ from St. Matthew Passion begins. The son looks at the crown of the tree and says his only words during the film: “In the beginning is the word . Why Father? “. 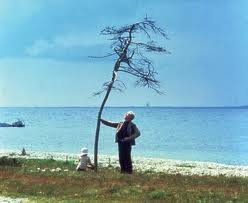 At the appearance of the text mentioning that the film is dedicated to the son of Andrei Tarkovsky – with hope and consolation, the crown of the tree seems to bloom. “The son makes three sacrifices. He loses his father because his father sticks to his word and to God’s word. He makes his second sacrifice by continuously giving water to the tree and bringing this tree back to life. By the third sacrifice he remain silent throughout the film. Fully justified the son asks his father – and God – why his father must keep his word”, you say. “For me this is a film of hope, because the last film by Andrei Tarkovsky is dedicated to his son with hope and consolation. At the end of this film, the light gives bloom to the tree of life. The life of his father – now a dry tree, because he has stopped acting – becomes a tree of life for the son by means of water. The son does not need any words for his sacrifices; his life, his actions and his knowledge precedes all words”, I say. “A great enhancement of my impressions. 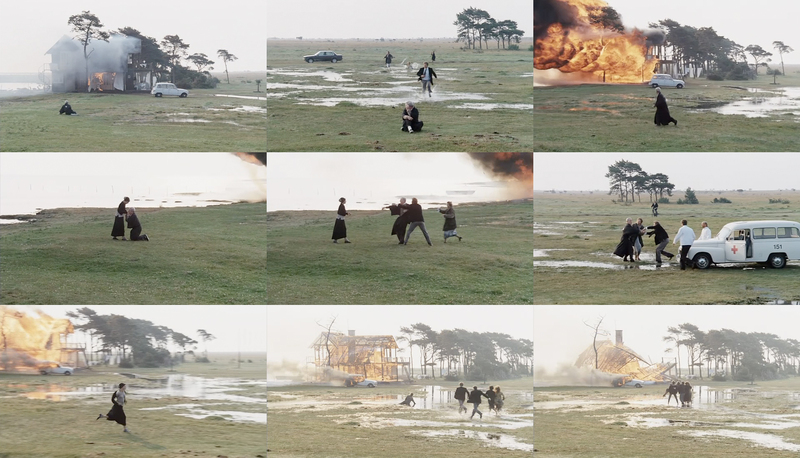 Tarkovsky transcends “the sealed time” with this end of his last film”, you say. The next post is about the Lamb of God as sacrifice. Source image: front of DVD-cover of the Swedish version of the film “Offret”. Tarkovski, Andrei, De verzegelde tijd – Beschouwingen over de filmkunst. Pagina 203. Tarkovski, Andrei, De verzegelde tijd – Beschouwingen over de filmkunst. Pagina 207 – 208. The word bodhisattva consists of two words “bodhi” and “sattva” meaning “perfect knowledge, wisdom” and “being, conscience, living being” in Sanskrit. The school of mahâyâna buddhism knows the bodhisattva ideal. According to this ideal a human who is on the verge of enlightenment – named bodhisattva, will refrain of entering until the complete universe and every particle is capable to enter enlightment. In the meantime a bodhisattva will prepare everyone and everything for enlightenment. Mahâyâna means “large vehicle”. All and everyone is enclosed in this large vehicle, no particle is excluded. See also the posts of 24th en 27th March 2011 on rituels. See also: Opening of the Gospel of St. John from the New Testament. This entry was posted in Introduction, Three and tagged Andrei Tarkovsky, bodhisattva, Book, buddhism, compassion, enlightenment, god, Indra's net, Introduction, journey, life, Mark Rothko, meaning, meditation room, metaphor, object in the middle, Odyssey, Offret, pantheism, philosophy, Religion, ritual, sacrifice, salvation, Sirens, St. Matthew Passion, tragic hero, Word on 30 May 2011 by Jan van Origo.